The VBA MIRR function calculates the Modified Internal Rate of Return for a supplied series of periodic cash flows (i.e. a series of payments and returns). Positive values are treated as income. This array must contain at least one negative and at least one positive value. FinanceRate - The interest rate paid on the money used in the cash flows. ReinvestRate - The interest rate received on the reinvested cash flows.
' of $100, that generates a series of cash returns over 5 years.
' mirrVal is calculated to be 0.1000268752662. 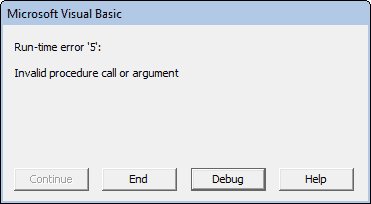 The above VBA code calculates the modified internal rate of return for the investment to be 0.1000268752662 (10.0%). The FinanceRate and ReinvestRate are supplied to the function as decimal values.